Find the best barbell for your lifting, strength sport, and budget needs! Out of every piece of equipment you can find in a gym, you’ll be hard-pressed to find a more versatile tool than the barbell. Barbell are great tools for any fitness level and can be used for practically any form of lifting. If you’ve landed on this article, then you’re probably interested in taking your barbell training to the next level by investing and finding the best barbell for your lifting style, home gym, needs, and wants. Similar to any other big gym equipment purchase, buying a barbell should be handled with care and attention. There are a ton of different barbells on the market, which can make it even harder find the best fit for your lifting needs. This best barbells round-up will aim to demystify some of the confusion that can come along with buying and shopping around for a new barbell. The list below includes a large variety of barbells including IWF/IPF approved barbells, the best barbells for deadlifts, and even the most cost efficient barbells on the market. As experienced lifters, gym owners, and recreational athletes, we thought it would be useful to first breakdown what to look for in a barbell before going into our “best” categories. A durable barbell that is cost efficient, versatile, and comes with a lifetime warranty to bending. This bar, while not yet approved for IWF competition, parallels the IWF's competition bar requirements and comes with smooth moving bearings for quick rotation. 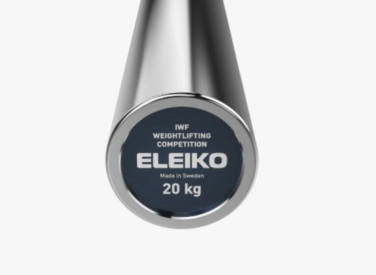 The Eleiko IWF Weightlifting Competition Bar offers a strong tensile strength of 215k and durable construction features to match this bar's lifetime warranty. A great barbell for powerlifting that has "no whip" and aggressive knurling for squats and deadlifts. 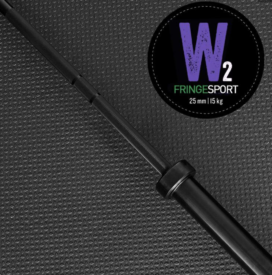 The Fringe Sport Women's Wonder Bar Olympic Barbell offers a strong tensile strength of 160k, yield strength of 199,000, and test strength of 1,000 lbs. 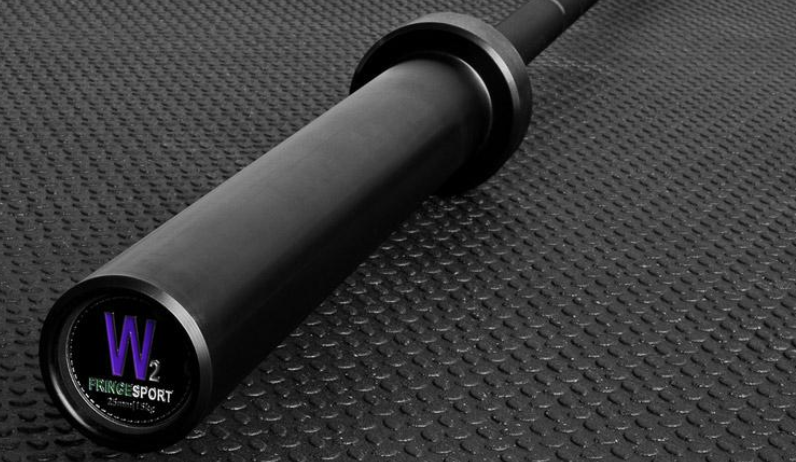 This barbell has aggressive knurling and great whip for maximizing leverage in deadlifts. The XMark Lumberjack Men's Olympic Bar offers a rust resistant black manganese phosphate shaft and a pro-grip knurling & has a price around $150.00! We want to leave no stone unturned in respects to a barbell’s construction and competition specs, then relate those individual barbell specs to your lifting needs. By combining a barbell’s unique construction features to different lifting styles, we can help connect you to the best barbell for your needs. On top of that, we’ll cover every barbell’s warranty to ensure you’re getting the most for your money and you know what you could be getting yourself into. To help to take it a step further, we’ve included why and what beginner, intermediate, and advanced athletes may want to consider when assessing their perfect barbell’s construction. A barbell is a sizable investment that will last multiple years, so we want to make sure it lasts you a while, but also serves your needs best. There are multiple types of barbells on the market, and for the beginning lifter or home gym owner it can be a little daunting when shopping around and seeing all of the options. In respects to major types of barbells, there are really three that are relevant to recreational lifters and strength athletes, and these include: Standard barbell, weightlifting barbell, and power bar. These three barbells will each offer a different construction features to match specific needs. 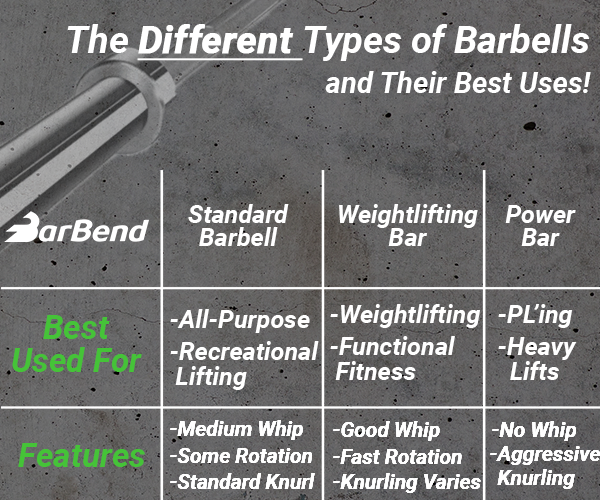 Below, we’ve quickly highlighted some of the main differences in the three major different types of barbells. Author’s Note: The points and construction specs in the graphic above may vary from bar to bar. Outside of these three types of barbells, there are also specialty bars that are common in niche strength sports gyms and sports. We’ve listed a few of the major types of bars below, along with their ideal uses. Deadlift Bars: Best for deadlifts, as they offer a lot of whip, aggressive knurling, and a sometimes smaller diameter. Squat Bars: Best for squats, as they’re typically made with no whip and have center knurling for gripping the back. Hex Bars: A bar shaped like a hexagon and a useful niche implement for variation and teaching hip hinging. Women’s Bars: Women’s bars are made with weights of 15kg or 35 lbs and have a diameter of 25mm. 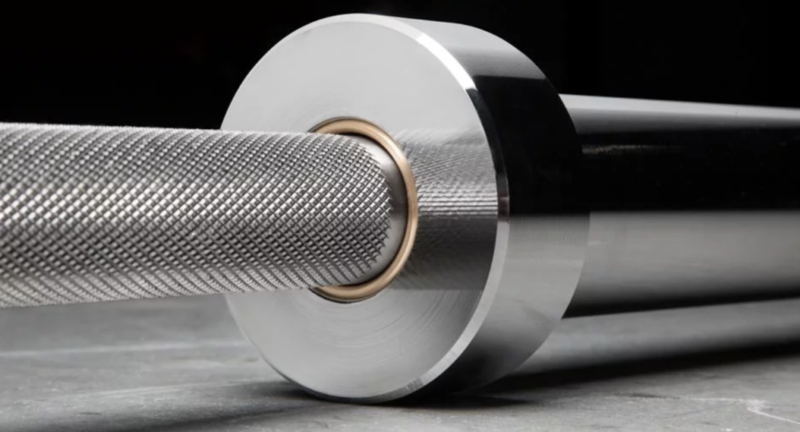 The knurling on a barbell is the rigid, sandpaper-like texture that covers each side of the barbell and sometimes the middle. 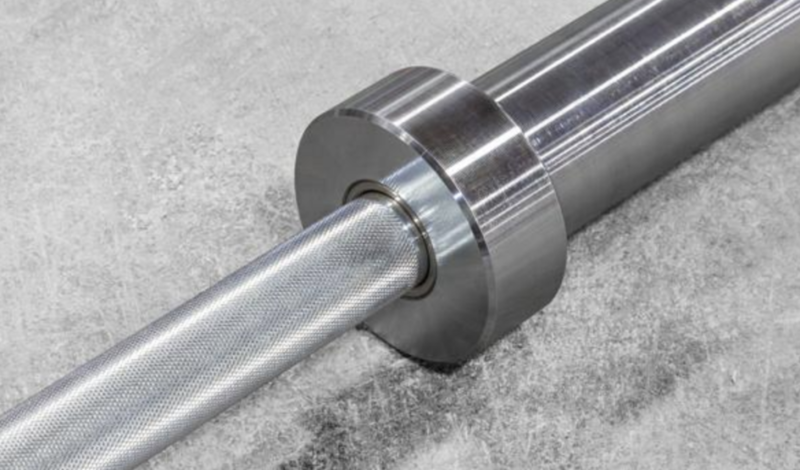 Knurling on a barbell is important for three major reasons. First, it promotes grip and can help improve lifting by allowing the barbell to remain still in the hands. Worn down knurling is more prone to rolling out of the hands during movements like rows and deadlifts. Second, knurling is a useful tool for finding proper positioning on the bar. Each side of the barbell’s knurling will have a ring, sometimes two, and these can be useful for accurately finding hand and body positioning when trying to be centered on a barbell. Third, knurling can be supportive and strength-sport specific. For example, Olympic bars will have a smooth center knurling to avoid scratching the neck during cleans, and deadlift bars will have even more rigid knurling to promote grip. Beginner: A standard knurling will often benefit beginner or recreational athletes best, as it’s not incredibly rigid and too rough on the hands and it can help acclimate a newer athlete to what knurling feels like. Intermediate/Advanced: A standard or more rigid knurling will suit more advanced athletes best. By this point in one’s lifting career, more than likely they train in a certain way (strength sport), are slightly stronger, and know exactly what they’ll be getting if they opt for a more rigid barbell. Knurling Tip: If you use chalk frequently when you’re working out, then make sure you brush down the knurling afterwards to promote the longevity of your barbell. Dirt and chalk can cause knurling to lose its rigidness over time if it gets permanently lodged into the grooves. A barbell’s grip diameter can be an easily overlooked construction attribute that can be very important. The diameter of a barbell can be catered to one’s needs based off of preference, gender, and strength sport. The most common grip diameter for men’s barbells tends to be around 28mm-29mm and women’s are 25mm. These are important diameters to remember because if you’re investing in a barbell, then you’ll want to use a barbell that you’ll be using in training and in competitive settings. And if you don’t compete, then simply knowing what could fit your hand’s needs best can help support your lifting. Some barbells can vary even more than the most common grip diameters listed above, but we’d recommend considering sticking with what’s most commonly used. This will help promote carryover from training to competition, also, your barbell will feel like what most gyms offer, so there will be no awkward learning curve between your personal barbell and a gym’s “thick” bar. Grip Diameter Tip: If you do, or plan to compete in weightlifting, powerlifting, or functional fitness, then check out your preferred federation’s rules so you can invest in the correct size barbell that they use in competition. Tensile strength, yield strength, and test on a barbell can all be great suggestions for a barbell’s long-term durability, and can help highlight the likelihood of the barbell prematurely/resisting breaking and fracturing. All, or some of these attributes are listed by most barbell manufacturers, and we’d suggest straying from any company that isn’t willing to readily share their barbell’s details, as that could mean that their bar will be prone to quicker breakdown. Tensile Strength: Out of the three attributes above, tensile strength is possibly the most important and widely used to highlight barbell strength/durability. This attribute entails how much your barbell can be loaded with before it breaks or fractures, aka high tensile strength = better barbell. Below, we’ve highlighted some general tensile strength guidelines. 150,000> — Decent for beginners, but it might be worth spending a bit extra to make your investment last. 150,000-180,000 — Good and suitable for most athletes. 180,000+ — Well constructed barbell that should last a long amount of time. Yield Strength: This construction attribute entails how much weight can be loaded on a barbell before it becomes deformed. Have you ever lifted on a barbell that is shaped like a noodle? That is exactly what failed yield strength looks/feels like. A lot of companies don’t list their yield strength, but that’s not the biggest deal. This attribute can often be prevented by simply using good barbell practices (ex: not dropping a barbell on safeties with weight, etc), and high tensile strength often correlates with high yield strength. Test: This construction attribute entails the documentation of how much weight a company has used to physically test the barbell. Some companies list the test of their barbell’s, and some don’t. If a company doesn’t list their barbell’s test, then make sure you look at tensile strength as these two can be very related. Barbell Strength Tip: We didn’t include types of metals in this review, but paying attention to what materials companies use can be useful for also assessing a barbell’s strength and durability. Steel and chrome are the most common materials used in well-made barbells, and barbell coatings/finishes include things like steel, cerakote, and block oxide. The whip of a barbell is the final construction aspect we’ll discuss before diving into our categories. Whip entails how much the bar will flex and give without losing its original shape. For the recreational and beginner lifter, this aspect isn’t a huge concern, but it becomes more important as athletes get deeper into their lifting careers and start competing. Some companies will list how much whip their bars have, and most likely, these bars will have a specific purpose like weightlifting, deadlifting, squatting, and so forth. Below, we’ve included some general recommendations for different athletes considering a bar with whip. Beginner/Recreational Lifter: Standard whip is fine and will be best for every movement. Weightlifter: A bar with whip is useful for training, as this will closely resemble what’s used in competition. Powerlifter: Check out your federation’s rules. Deadlift-specific bars will have a lot of whip, which is great for pulling, but problematic in other movements. Power bars will be much more stiff and are used in federations like the USAPL. Whip Tip: If you’re brand new to lifting, or you lift recreationally, then avoid worrying about whip when investing in a new barbell. Strength athletes — check out your federation’s rules! Every company will typically offer some form of warranty for their barbell. Each company will vary in respects to what they offer and warranty can be a huge factor to consider when investing. Most companies will cover their barbell for a year or more in regards to manufacturer’s defects and design issues. This is typically based off of original ownership, so on that note, if you buy a resold barbell, then often times warranty terms will be void. Additionally, all of the warranties below do not cover negligence for barbell care. For example, dropping a barbell on rack pins and bending it will not be covered by a warranty. Our favorite barbell for all-purpose use was the Rogue Ohio Bar. This barbell is all around solid and offers a lot of positive construction aspects that don’t break the bank. 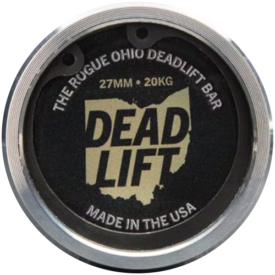 If you’re a recreational lifter or competitive athlete and want a barbell that will last a while and match most needs, then the Rogue Ohio Bar is a good bet. This barbell is used widely in strength sports gyms, and that’s not by chance. Tensile strength of 190k and a “good whip” rating, which will assist multiple exercises at all fitness levels. Four different barbell finishes that all have different durability ratings, so you can decide what works best in your specific setting and customize your barbell at Rogue Fitness. Decently priced compared to other barbell that offer same levels of versatility. Warranty: Lifetime warranty for manufacturer’s defects/design issues. The top barbell making our list for weightlifting is the Rogue Olympic WL Bar. This bar is topping our list for three specific reasons. First, this barbell matches the International Weightlifting Federation’s (IWF) barbell’s construction specifications, so it’s a good bar for training to competition carryover. Second, this barbell offers some of Rogue Fitness’ highest durability ratings in respects to its finish and tensile strength. Lastly, it’s one of the more cost efficient options that can stand against weightlifting-specific companies. 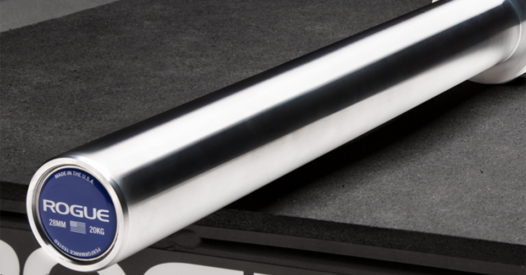 Tensile strength of 215k and Rogue Work Hardening finish to ensure long-term durability. Standard knurling with great whip, so it will benefit all weightlifting movements and training. Five needle bearings per sleeve to promote a smooth and fast rotation. The Eleiko IWF Weightlifting Competition Bar earns our top pick for IWF approved barbells for good reason. For starters, if you compete regularly in the IWF, then there’s a really good chance you’ll be using this barbell on the platform. So if you’re looking for a bar that will have high training to competition carryover, this barbell is a good bet. This barbell is slightly more expensive, but again, this is the best option for the serious weightlifter who doesn’t mind investing in their trade. Tensile strength of 215k, stainless steel construction, competition knurling. IWF approved competition bar that’s often used in weightlifting competitions. Eight precision made bearings to ensure smooth and fast rotation. 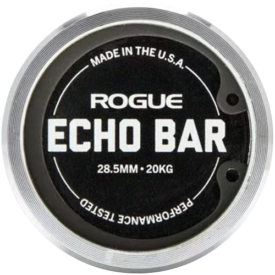 Our top rated bar for powerlifting is the Rogue Ohio Power Bar. We love this bar for powerlifting because it offers no whip, which is great for heavy loaded back squats where whip can cause athletes to lose balance and tightness. 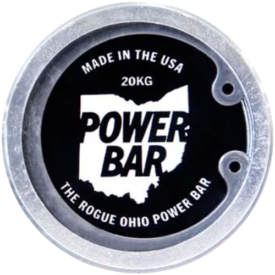 Additionally, powerlifting federations like the USAPL will use Rogue Ohio Power Bars in competition so it’s a good option for training to competition carryover. Bar has “no whip” rating, which makes it a good option for very heavy squats. The options offered contain both an F2 (stainless steel) and F8-R (black zinc & bare steel), so the bar will serve most lifters a long time and a 200k or 205k tensile strength rating. It has an “aggressive” knurling rating, so the barbell will grip the back extremely well, even with extra layers on. 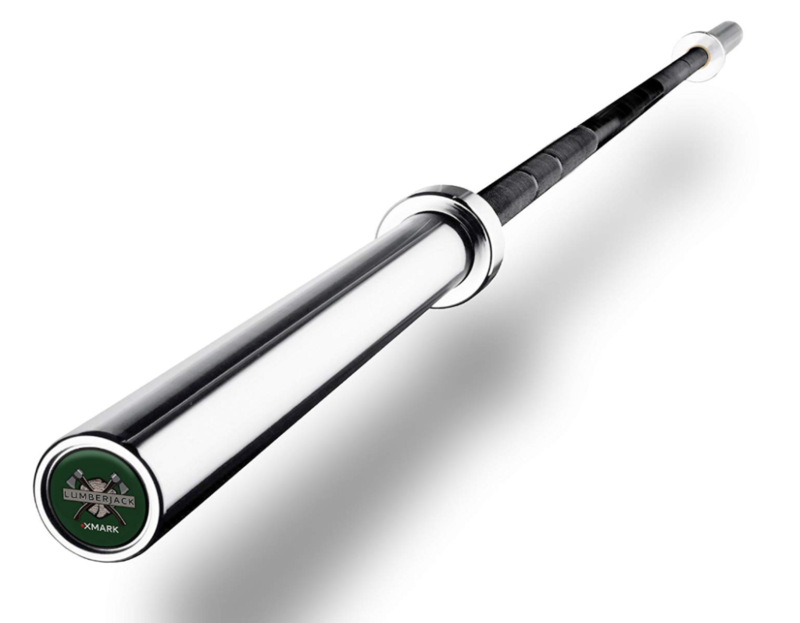 Our favorite pick for women’s barbells is the Fringe Sport Women’s Wonder Bar Olympic Barbell. 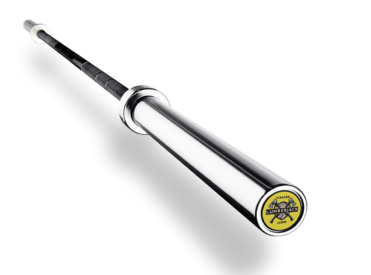 We like this barbell for two distinct reasons. First, it’s great all-in-one type of barbell that comes with a ton of promising construction features that suggest durability and versatility. Second, it’s a cost efficient option that offers either a bushing or bearing collar, so you can choose a barbell based on your needs that also sits well in the wallet. Tensile strength of 160k, yield strength of 199,000, and test strength of 1,000 lbs. Cost efficient options with bushing and bearing availability, which makes this is dynamic pick for every athlete. Steel construction and black zinc coating helps prevent rust and daily corrosion. Warranty: One year warranty for manufacturer’s defects/design issues. The Rogue Ohio Power Bar could best described as “ole reliable”. This barbell has a lot going for it in respects to being a great bar for powerlifting and heavy squats. First off, it has plenty of tensile strength to limit premature breakdown or fracturing. 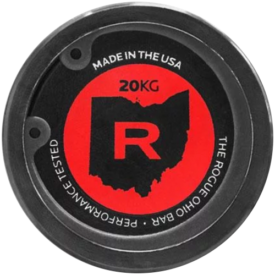 Second, the Rogue Ohio Power Bar offers a “no whip” rating, which is great for heavy squats and lifts that require maximal body tightness, as whip can cause the loss of balance. Tensile strength with options that have 200k or 205k. The options offered contain both an F2 (stainless steel) and F8-R (black zinc & bare steel). The Rogue Ohio Deadlift bar is coming in at number one for our deadlift-focused barbell. This deadlift bar offers all of the specs you’d want from a standard deadlift bar with the addition of Rogue Fitness’ construction and durability. What we like most? This barbell has a tensile strength of 190kg and aggressive knurling, so if you’re pulling maximal weight, then this barbell will be the perfect tool to do so. The barbell has a “great whip” rating and aggressive knurling to ensure grip is great. Tensile Strength of 190k and a 27mm diameter to ensure all hand sizes can pull on it. The XMark Lumberjack Men’s Olympic Bar offers a rust resistant black manganese phosphate shaft and a pro-grip knurling & has a price around $150.00! The XMark Lumberjack Olympic Bar features a black Manganese Phosphate Shaft, chrome sleeves, and has durability testing up to 700 lbs. Cost efficient barbells come with two sides. On the bright side, cost efficient barbells tend to be better on the wallet (duh), and are usually great options for beginning and recreational athletes who need a barbell for casual use. On the down side, in respects to barbells specifically — you often get what you pay for. If you choose the option that saves you $100, then you might be buying a barbell again faster than expected. That’s not always the cause, of course, but it is something to keep in mind. Below we’ve included three cost efficient options below that still boast promising construction specs! 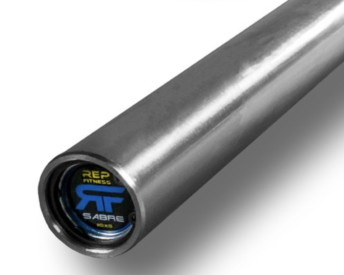 The Rep Fitness Sabre Olympic Bar has a tensile strength of 150k, a test rating of 1,000 lbs, and a rust resistant black zinc coating. This barbell is extremely durable and comes at a very competitive price compared to the large market. So, is the perfect barbell for you included in out list? It very well could be. Perfect will be defined by what fits your lifting needs and wants best, and that’s in addition to fitting your budget. Barbells can be big investments, so leaving no stone unturned is the best route to take when you’re sinking money into a piece of equipment that has the ability to last for multiple years.